The Welshman beat Gary Anderson in an ill-tempered final but it was only Price who was handed a fine. The Darts Regulation Authority's punishment also took into account Price's behaviour in his quarter-final against Simon Whitlock. "I don't think I deserve any fine at all," Price told BBC Sport Wales. "I did nothing different to any other game since day one and my game has not changed thereafter. "I want to get my name clear, even if they want to fine me £1,000, I will continue to fight it." Price was found to have brought the sport into disrepute and was fined £8,000 for his behaviour in the quarter-final, £12,000 for the final and £1,500 for comments on social media. The DRA said the Welshman's actions "were very serious and went beyond what was acceptable" and "were a cynical attempt to put off his opponents to gain him an advantage". His three-month suspended ban will be enforced if he is found to breach any DRA rules before 11 July, 2019. "I don't think I deserve any fine at all, no rules were made out to me, I was not told to calm down, so I feel I have been unfairly treated and made an example of," Price added. "In my contract is says disputes can be dealt with by the High Courts so that could be the outcome if I am not happy with the way the appeal goes." Price says he is looking forward to support from the crowd on Thursday, in contrast to his usual reception. Cardiff hosts Thursday's Premier League Darts and a large Welsh support is expected at the Motorpoint Arena for Price's match against Michael Smith. 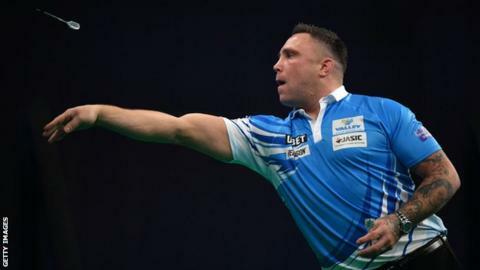 The atmosphere will feel very different to Price, who is regularly booed since his controversial Grand Slam of Darts win over Anderson last November. "The last couple months I have not been used to support so I'm not sure how I'll react to it to be honest," said Price. "I have had a few beatings from the crowd on the oche the past few months and there will be a few friendly boos again but hopefully there will be a decent reception for a change. "I need to be on my A-game if I want to beat Michael but I am in a good run of form, looking forward to it, and I know if my game is there I will win regardless of what he does." Get into darts, an addictive and entertaining sport that will do wonders for your social life.